They say that good things come to those who wait. For as quickly as I can put some quilts together, others need to stew and ruminate in my mind for months or years while I figure out exactly what to do. Stella's memory quilt is just such a quilt. Stella's mom, Jacquie, and I met in 2009 when we were both part of a breastfeeding group. After our sons moved on to solid, we moved on as well, though we have remained Facebook friends. Jacquie's life took her to Arizona and I was happy to see that she was expecting a little girl. The day before Stella was born, Jacquie posted a photo of her beaming with excitement. Her no-longer-little guy proudly stood next to his mom, ready to take on the role of big brother. I looked forward to seeing the baby announcement on her Facebook page. But rather than happy news, I saw this. Jacquie had a perfectly normal pregnancy and all was well at her last appointment. To this day, she doesn't know why Stella passed. I cannot begin to imagine how difficult that must be to accept. A couple days later, she posted this. I had (and still have) no words for her grief, but I knew this was something I could do for her. I asked Jacquie for some of Stella's clothes. When she was ready, she sent me a box. I had started looking for inspiration but hadn't decided on a pattern yet. Fortunately, Jacquie sent me a lot of clothes. Baby onesie quilts have grown in popularity in recent years, but they are usually made to celebrate a baby's first year of life. This quilt served a different purpose, so I wanted it to be especially personal. In addition to the clothes, I wanted every detail to honor Stella. Looking through Jacquie's posts, I found comments like this to direct my decisions. I wanted to use the onesies whole. I wanted Jacquie to picture Stella in them. While it may have been easier, and patterns abound for onesie quilts where the clothing is cut into squares, I thought it was important that they remain whole. It couldn't be too "girly" because that's not Jacquie's style. 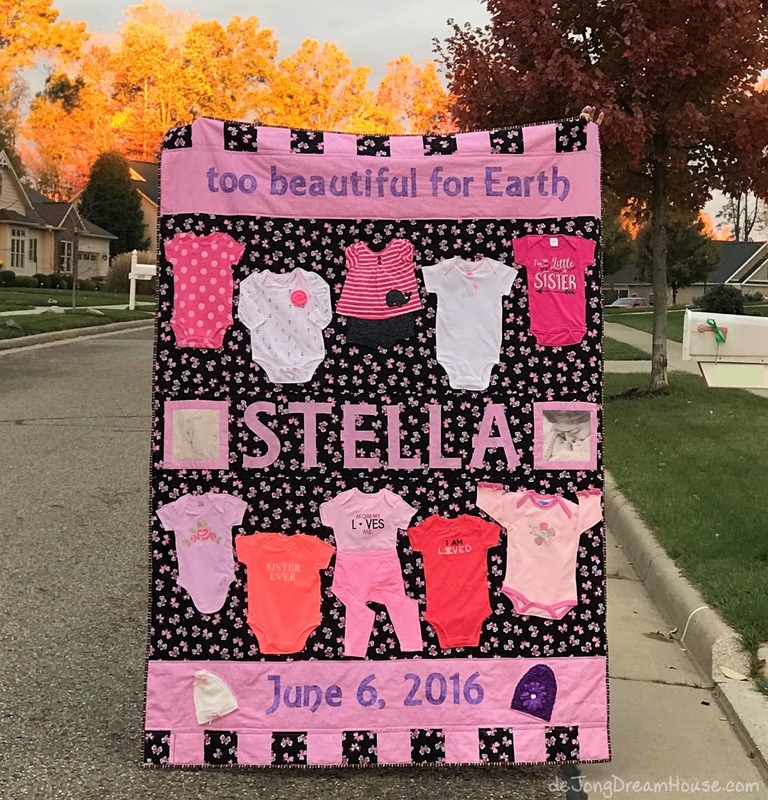 I wanted Stella's name and face on the quilt. I wanted to include stars and butterflies. I wanted something to that included her son, N, who is the reason we met. In the last year or so, I have started and stopped this quilt countless time. It's never come off my first tier quilt priorities. But every time I thought I'd buckle down and work on it, the pattern didn't feel right. I pray over every quilt as I work on it, asking God to help the recipient feel my love and His, that it will over comfort or healing or whatever is needed. 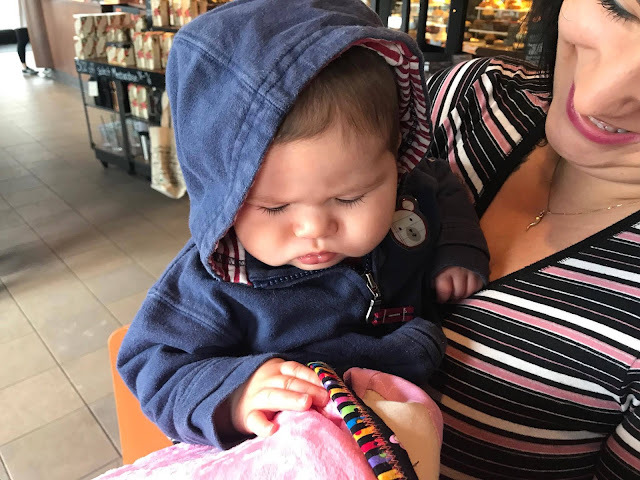 I was feeling pretty frustrated that none of my ideas were panning out the way I had hoped and I stressed myself out because I felt like I was keeping Stella from her mama by holding on to her clothes. Living with a brain injury means that deadlines (even self-imposed ones) stunt my creativity. So I gave myself permission to set it aside for a time while I worked on other quilts. During that time, Jacquie became pregnant with twins. And then lost one of her babies, again. Also during this time, Stella's dad left the picture. 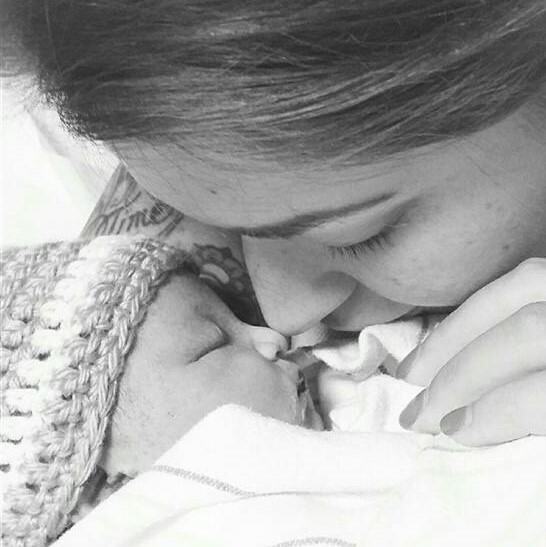 Six months ago, Jacquie's rainbow baby was born. And then, finally, my inspiration came. It ticked a lot of the boxes on my list: not too girly, clothes intact name included, and so many stars! That was just the push I needed to get started. I announced this quilt as my October One Monthly Goal so I'd have accountability to get it done. October is a hard month for so many of my friends. 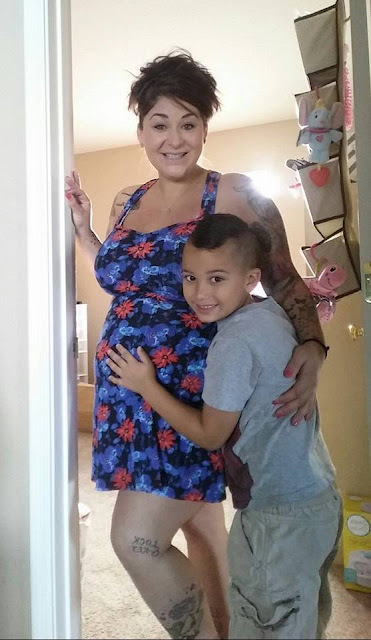 I had two early miscarriages before our son was born. 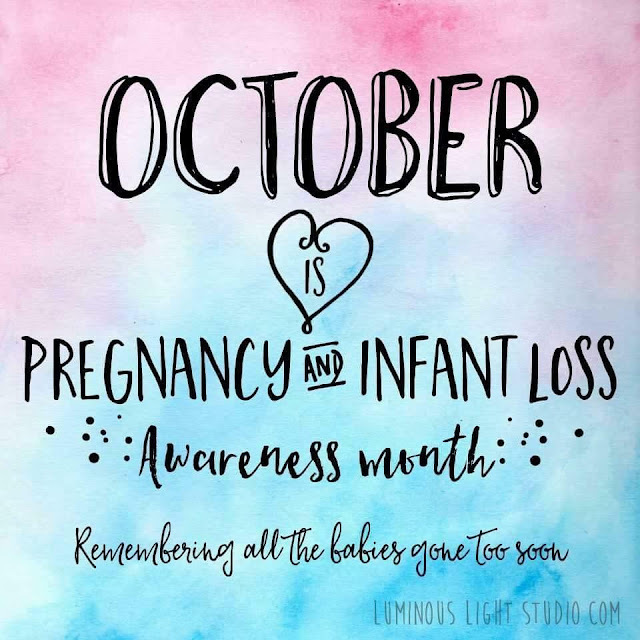 In fact, my first miscarriage occurred in October. My grief is different than Jacquie's and I would never want to diminish the double portion of loss she has endured. That said, I truly believe I felt her grief intensely as I worked on this quilt. 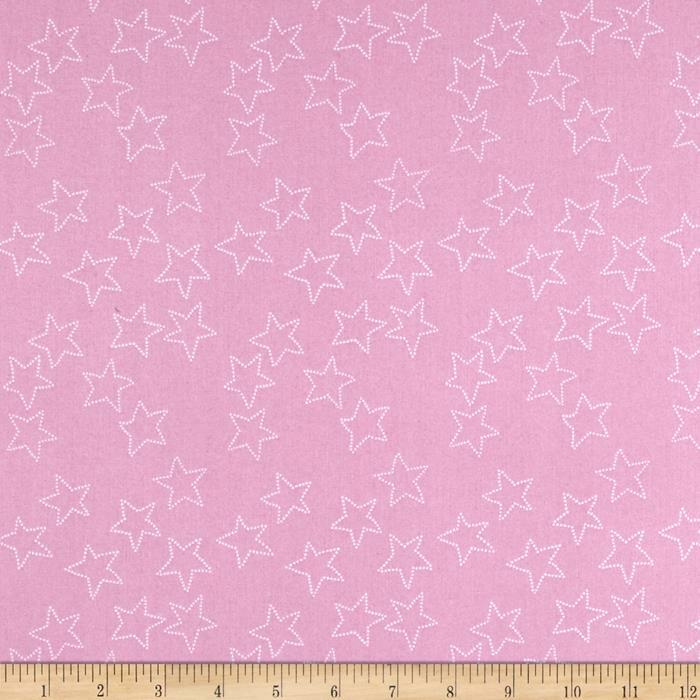 After receiving Stella's clothes last year, the first thing I did was look for star fabric. This print, called Stella Pink Mist by Lotta Janspotter couldn't be more perfectly named. It has Stella's name, and her brief life was a pink mist. Plus, it's super cute. 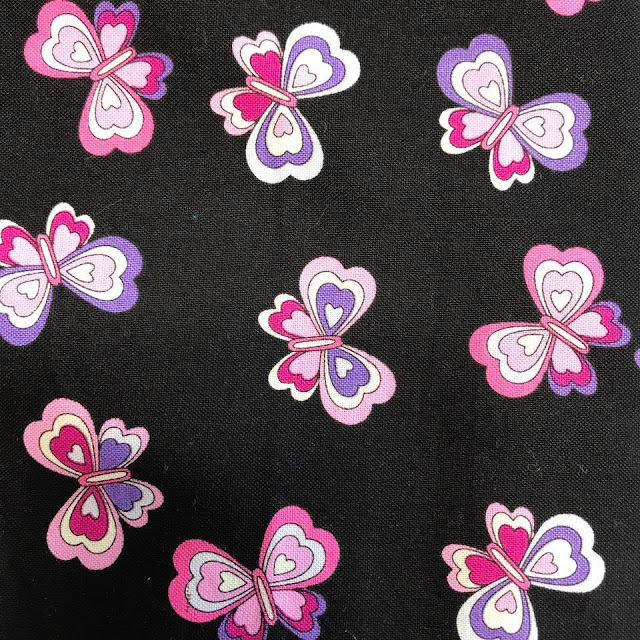 Sorting through my stash, I found this black butterfly print. I'm not even sure when I picked it up. 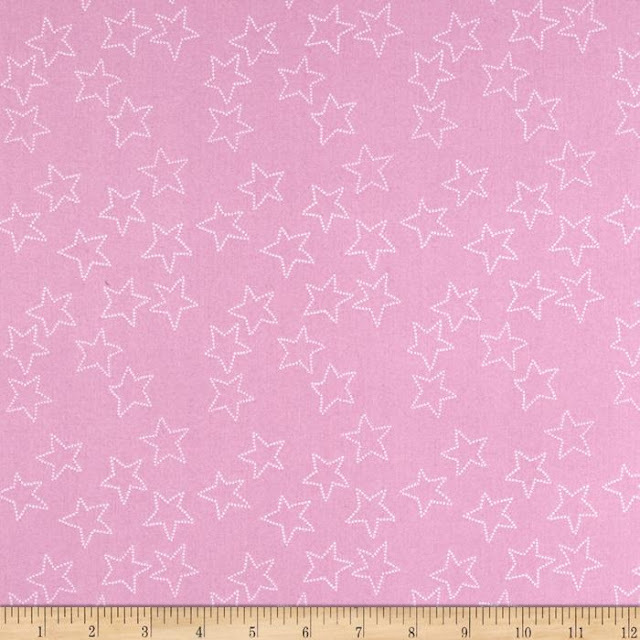 My first thought is that I liked the black to acknowledge Jacquie's grief, and the pink matched the star print. I wasn't sure of the butterflies, but when I went back and her post about butterflies, I knew it was meant to be. I knew I wanted minky for the backing. My initial design was too wide for all but the extra wide minky. That would limit me to a solid color rather than a print. 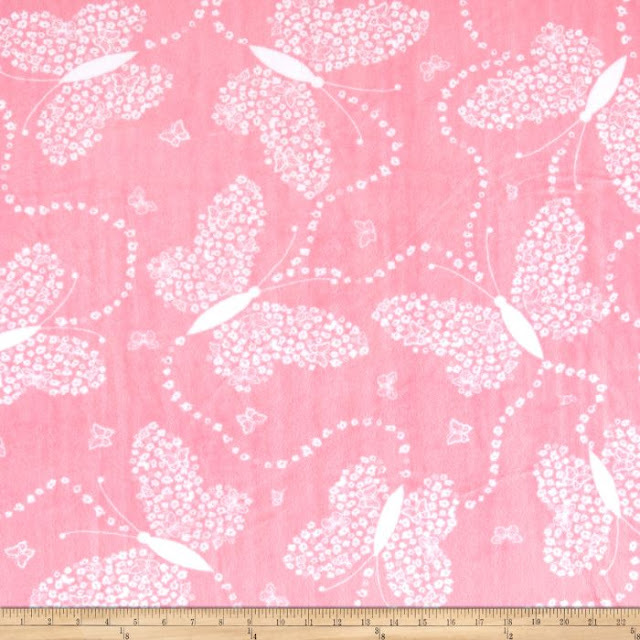 I was mulling over the shades of pink when I found this one called Flowerfly Paris. It's wide, but not extra wide, so I had to adjust my pattern, again, so that it was no more than 56" wide. I had originally planned on the alternating blocks as a border all the way around, but the side borders made the quilt too wide. A big part of my procrastination with this quilt was a fear of making a mistake that would ruin Stella's clothes. So after the border blocks, I started with the next easiest party, the applique. I designed the letters on my Silhouette Cameo using the font AR Essence. I used a narrow zig zag stitch for the applique. Stella and Jacquie were always close to my heart as I worked. For the images on either side of Stella's name, I always knew I would use this one in black and white. 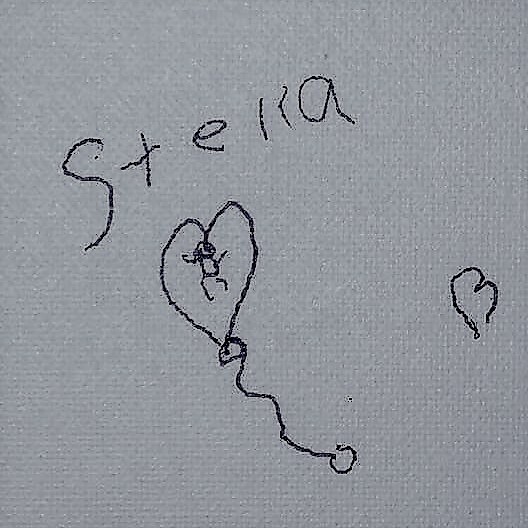 As I scrolled throught Jacquie's feed for the hundredth time, I found something I had missed, this picture that her son drew for Stella. It was a perfect way to capture his feelings in the quilt. Sorting through the clothes again I found two hats. I thought they would be better than two generic stars by Stella's birth day. I stopped here for a few days as I pondered how to applique the clothes. I used the power of the Wayback machine to find a tutorial on the late great mcharlottemorris.com. The big takeaway I learned is that even when outfits are kept whole, the back is often cut out to reduce bulk. The key is to leave enough of the edge so that it tucks under to give the appearance of being whole. I held my breath and cut the back of one of the hats. Whew! I didn't mess it up! I added Pellon 906F Fusible Interfacing to stabilize the fabric so it would stretch as I appliqued it to the quilt. I topstitched along the edge, making sure to catch the tucked under part. The top of the hat was tricky, but I got it. I also singed the edge of the ribbon with a lighter so it wouldn't unravel. Feeling much more confident, I attached the other hat and clothes in the same way. For the binding, I used a black and rainbow print with rainbow variated thread to include Jacquie's youngest son. Finally, for the label, I usually include my website and the hashtag I used on Instagram so that the new owner can read all about their quilt. In this case, it seemed to self-promoting for such a personal quilt. 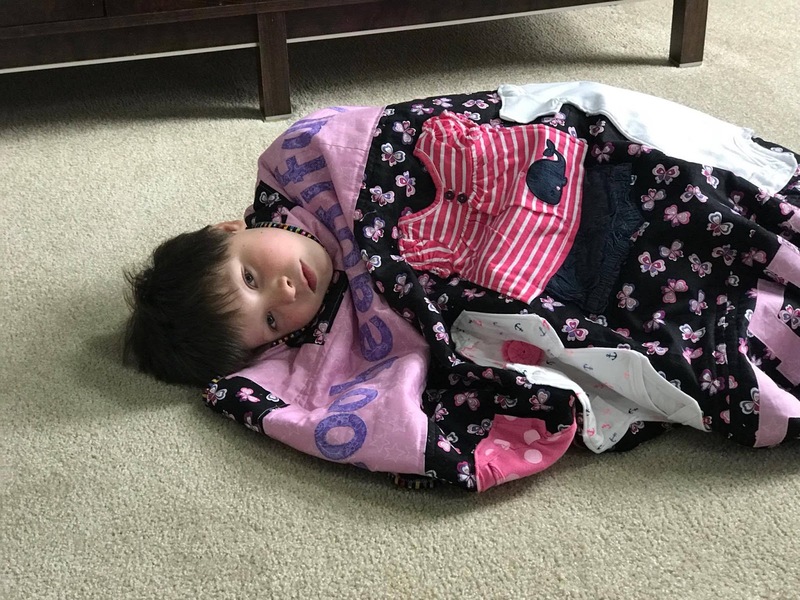 Ever since I started quilting, my son has had a very important job. When I finish a quilt, a before it goes to a new home, he wraps himself in the quilt and "adds the love" as we pray over it. When I told him that this quilt is for a mama whose baby girl went right to heaven he said, "Well then, this quilt needs extra love in it." Now the best part, getting to deliver this quilt to Stella's mama! I pray it will be a tangible way to feel close and connected to her daughter. I want to mention something that I learned about while working on this quilt. A friend of a friend has an organization called Ashlie's Embrace. Ashlie was also stillborn at full term. Her parents, Erin and Anthony Marroon had less than an hour to spend with her before death's natural changes started to occur. They founded Ashlie's Embrace to provide special cooling pads, called CuddleCots, to hospitals in the United States to give grieving parents more time to hold, bath, and dress their babies, as well as recover from their initial shock and have time to really say goodbye. Visit Ashlie's Embrace to learn more about CuddleCots and how to make more of these devices available to grieving families. To see more pictures of this quilt in progress, look for #StellasMemoryQuilt on Instagram. To see what I'm currently working on, follow me at de Jong Dream House. 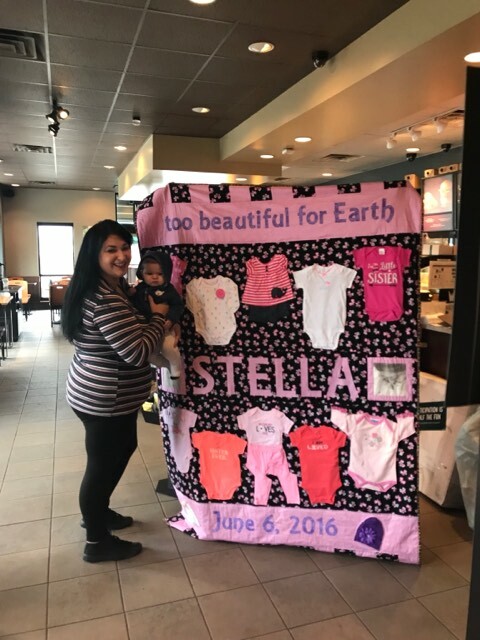 Stella's Memory Quilt is home. It was wonderful to delivery it in person, catch up with Stella's mom and meet her little brother. My favorite picture of our time together is this one where baby V patted the minky and studied the rainbow binding I put on the quilt just for him. Wow, such a journey with this quilt. So much thought, love, and care. I am so sad for your friend's loss of Stella, and the loss of one of her twins. What a beautiful gift you have given her to remember her baby girl, and to be able to include her older son in the quilt is so very special. This post made me cry over her loss. But you found a wonderful way for a memorial for her family. Thank you for sharing the story. What an amazing story and family. I'm so touched by your generosity and creativity. You are a special friend. What a wonderful keepsake you have created for your friend. 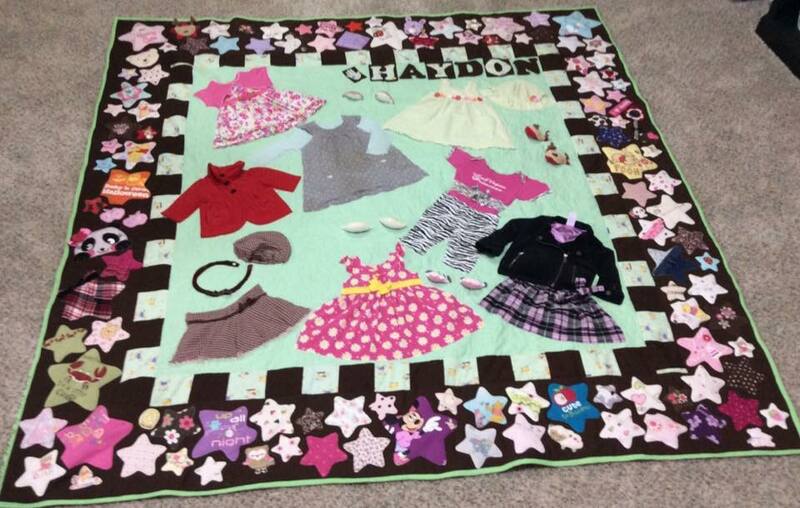 What a sweet quilt for a wonderful friend. May it bring her peace. Thanks for linking to Wednesday Wait Loss. Such an heartbreaking story. I admire the love and care that you put into these very difficult and emotional projects. I am sure that they are loved and appreciated! Thanks for sharing. This is such a heartfelt finish. I don't understand why we still lose so many babies in this day and age, so there has to be something to the concept that they are "too beautiful for this world." I'm so sorry your friend had to walk this path.